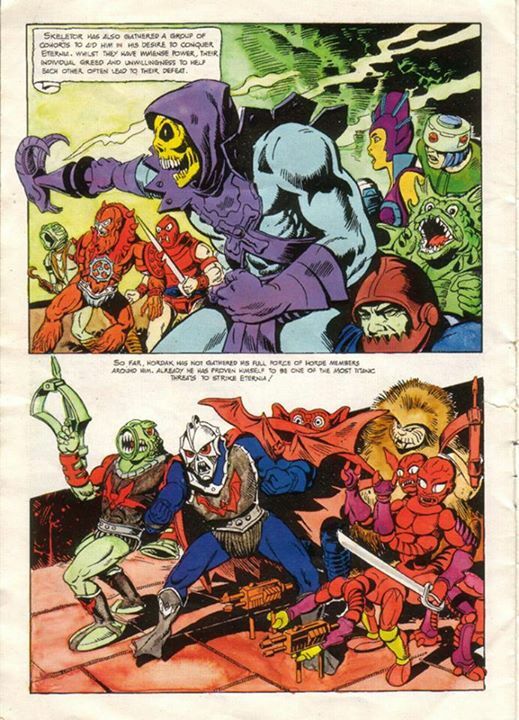 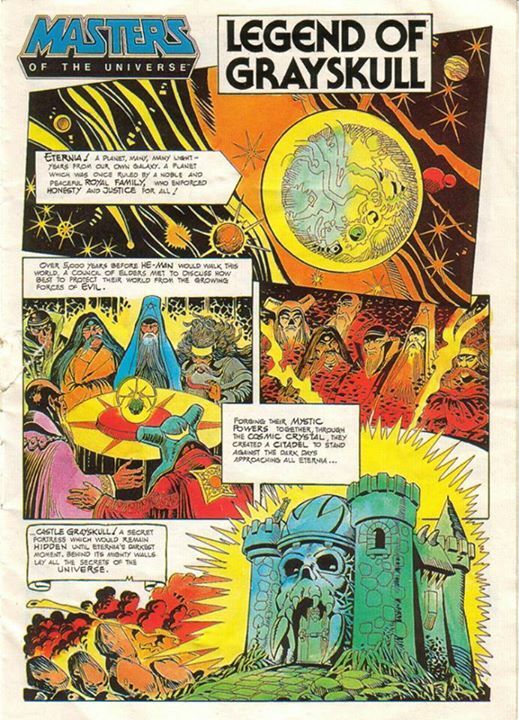 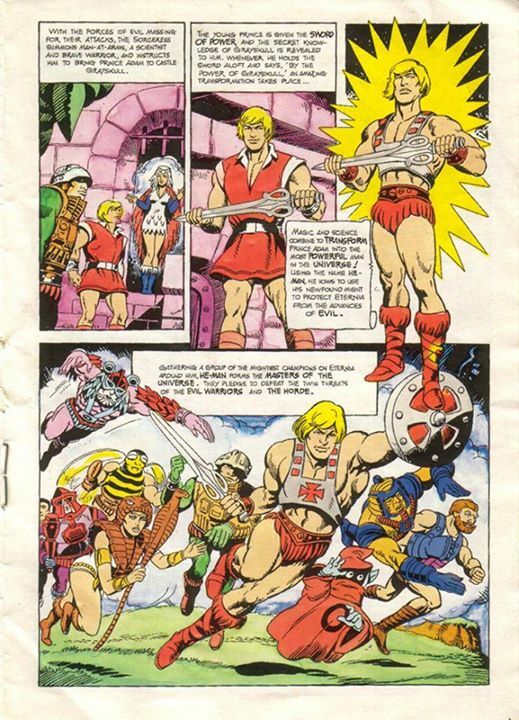 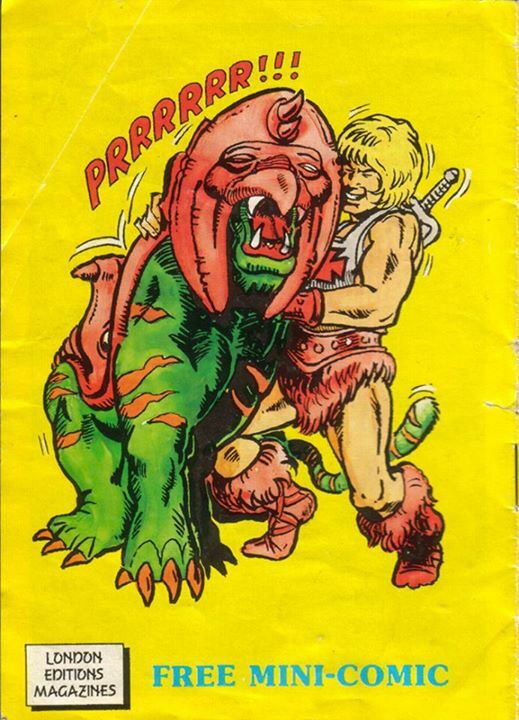 The rare Origin of He-Man mini comic produced in the UK. 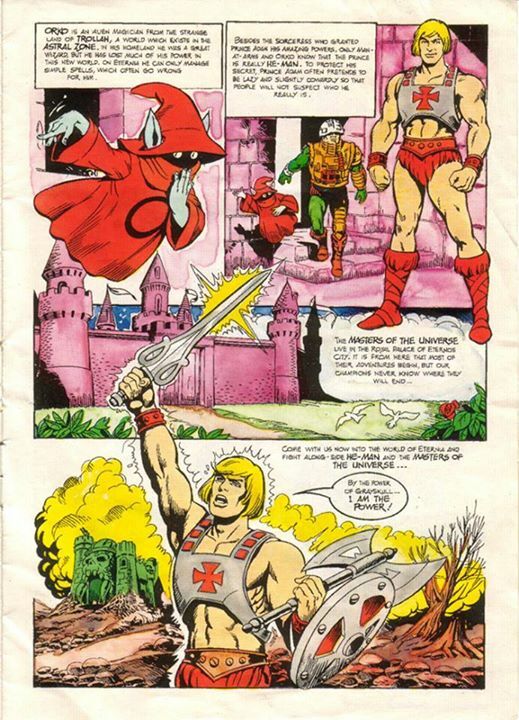 Although it is copyrighted 1988, I would have guessed that it was drawn in 1985, given the character selection and style. 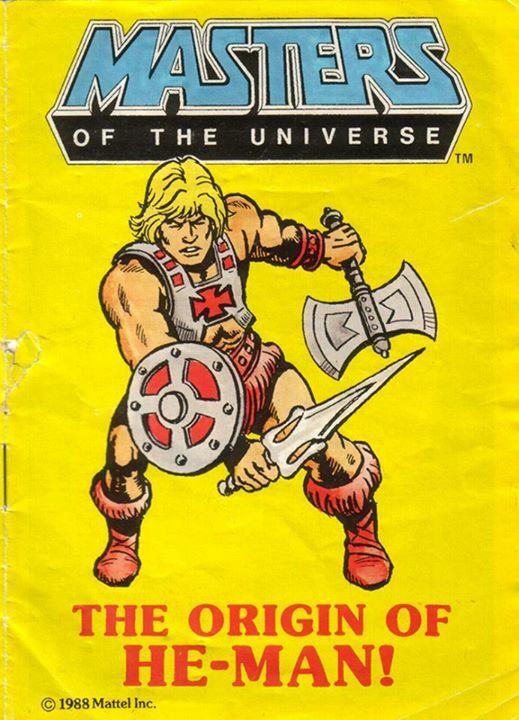 Update: I have been informed that this is actually a reprint of the first section of the full-sized UK Masters Of The Universe Comic Issue #1. 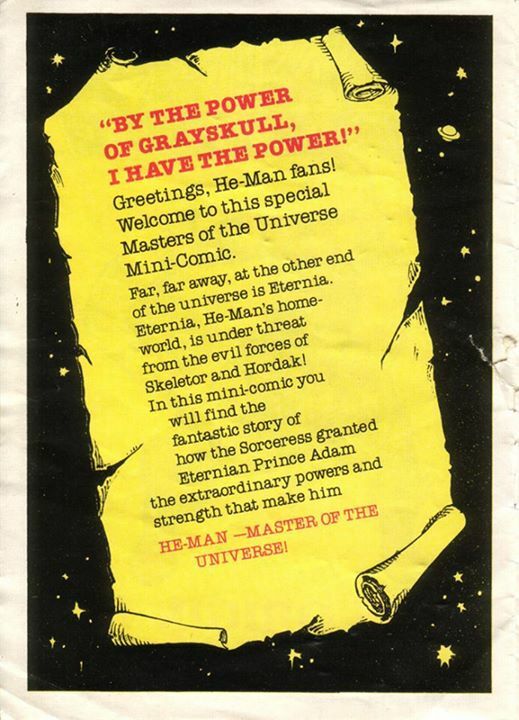 Thanks to Jukka for the heads up!